Smythson has been a purveyor of ‘First class stationery, leather goods and cabinet work’ since 1887 and the highlight of my visit was the display in the bespoke stationery section of the store that highlights just a few the famous and powerful clients they've had over the years. They include kings and queens, movie stars like Katherine Hepburn, and even the Kennedys. 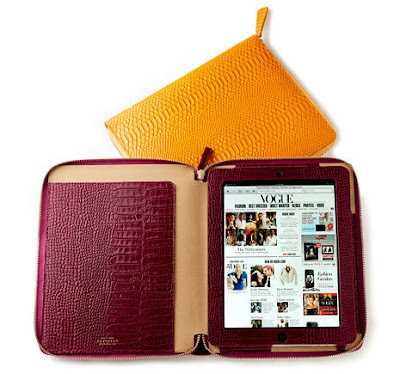 I'd like to think they'd all have Smythson ipad cases if they were around today. Happy Shopping!